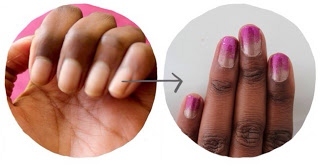 Ombré Nails in 4 Steps! There's nothing I love more than bright nail varnish. 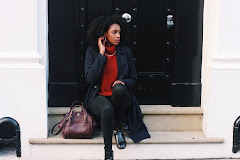 I really think adding a splash of colour to your nails is a key way to brighten up any outfit in a subtle and fun way. It was my birthday the other day, and I think the several members of family and friends who bought me nail varnish had definitely picked up on this! Paint your nails the lightest of your two chosen colours. Leave to dry, then paint a second coat. Don't wait till the second coat dries completely, as leaving this a little wet will allow the colours to blend easier! Paint the edge of your make-up sponge with a thick coat of your second (darkest) colour! Before this dries gently dab the make-up sponge onto the end of your nail, and work your way towards the middle. In order to create the dark to light effect, apply more pressure to the edge of your nail, and less as you dab inwards for light touch. It should look a little like this! If you find that there isn't enough colour on your nails, or the fade isn't in the right place, re-touch the sponge with more nail varnish and repeat. 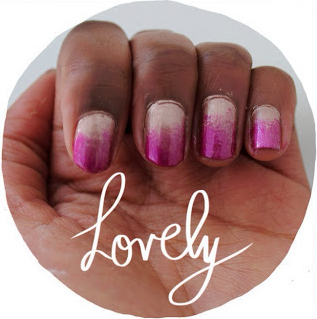 If your nail looks a little dappled or bumpy, I find that applying a coat or two of clear nail varnish will really set the colours for a shiny and effective ombré look! 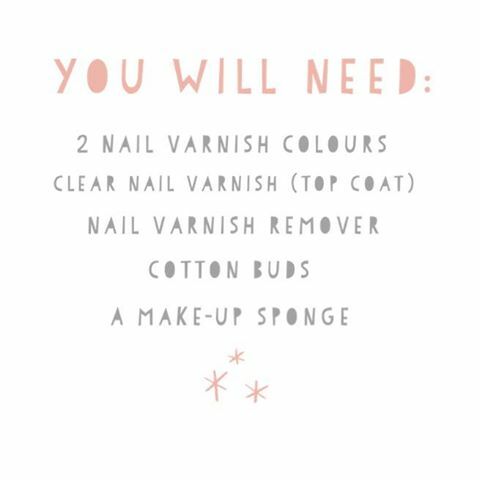 If you have accidentally painted over your nail (like I have) dip a cotton bud in varnish remover and wipe away any excess varnish around the nail.